For over three generations, Kaplan, Krauss & Levine, LLC has specialized in advising wealthy families and successful businesses to preserve, leverage and transfer their assets. We are nationally recognized as specialists in our industry preserving over a billion dollars for our clients. Our firm is well versed on the new and ever changing tax laws and new products which could benefit our clients. 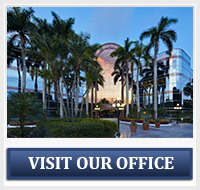 Headquartered in Boca Raton, Florida, we are a boutique life insurance firm. We work closely with high net worth families and their advisors in the design and implementation of wealth transfer strategies, business succession planning and charitable planning. Life insurance is often a cornerstone for many of these plans. As independent advisors we represent highly rated insurance companies and can provide the most cost effective and tax effective contracts for our client. Furthermore, due to our reputation within the industry, we are able to obtain superior underwriting offers. Congratulations! If you are here, you have completed the first step towards protecting your family’s and your future. Now, continue through our site and find out how Kaplan, Krauss & Levine can help you! To contact us click here or visit us at our office. See what we can do for you. Latest Blog: Entry is coming soon!